Glyphosate is one of the most commonly used weed-killers for agricultural purposes in the world, yet for a fair while now it has been at the centre of an intense and important debate. It began in 2015, when a study conducted by the World Health Organisation’s (WHO’s) International Agency for Research on Cancer (IARC) concluded that glyphosate was “probably carcinogenic to humans”. This was later contradicted in another WHO study, co-authored alongside the UN’s Food and Agriculture Organisation (FAO), which claimed that the chemical was “unlikely to pose a carcinogenic risk to humans from exposure through the diet”. The debate then began full-force, seemingly with neither side holding all the necessary facts to back up their assertion. Now the European Chemical Agency’s (ECHA’s) Committee for Risk Assessment has further muddied the waters by concluding that available scientific evidence “did not meet the criteria to classify glyphosate as a carcinogen, as a mutagen or as toxic for reproduction”. The announcement has been welcomed by farmers, criticised by environmental groups, and will be taken into consideration later this year when the European Commission and EU member states meet to discuss the possible renewal of licensing approval for glyphosate as an active substance in pesticides. 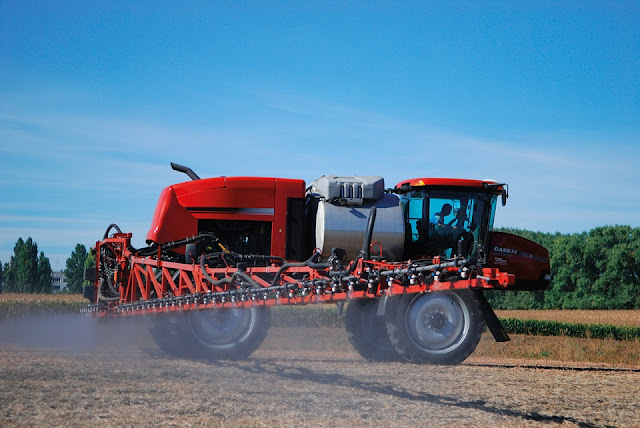 One prominent supporter of the announcement has been National Farmers’ Union (NFU) Vice President Guy Smith, who commented, “The overwhelming weight of evidence shows that glyphosate poses no risk to human health when used correctly. This opinion is shared by regulatory bodies around the world, including the WHO, the FAO and the European Food Safety Authority (EFSA). “Glyphosate plays a vital role in agriculture in the UK and around the world. It reduces the need to use other herbicides, it helps to protect soil and cut greenhouse gas emissions by reducing the need for ploughing, and it enables farmers in this country to grow crops that help produce safe, affordable, high quality British food. Taking the opposite stance is Peter Melchett, Policy Director for the Soil Association, who argues, “The ECHA’s view contradicts the position of the IARC, which classified glyphosate as a ‘probable carcinogen’ in 2015. “It is not clear why the ECHA reached a different conclusion from IARC but unlike IARC, the ECHA has relied to a large extent on unpublished data from the pesticide industry, which is unlikely to be made available for independent scientific scrutiny or verification. “The ECHA only reviewed evidence on glyphosate in isolation, rather than as it is used, in products that always contain other substances. However, EFSA has cautioned that some glyphosate products ‘contain higher toxicity’. It has also recommended the UK and other governments to restrict the use of glyphosate pre-harvest, and in public parks, playgrounds and gardens. The ECHA states that alongside published studies on glyphosate, the committee also made use of full access to original reports of studies conducted by industry, and that they have “assessed all the scientific data”.